Kitchens in contemporary homes often perform several different functions: they are spaces for preparing food, eating, socialising and even working in. Which is why your kitchen lighting design also needs to do different things. We’ll show you how to make the most of your space, define different areas, and create the perfect mood in your kitchen through clever lighting choices and placement. 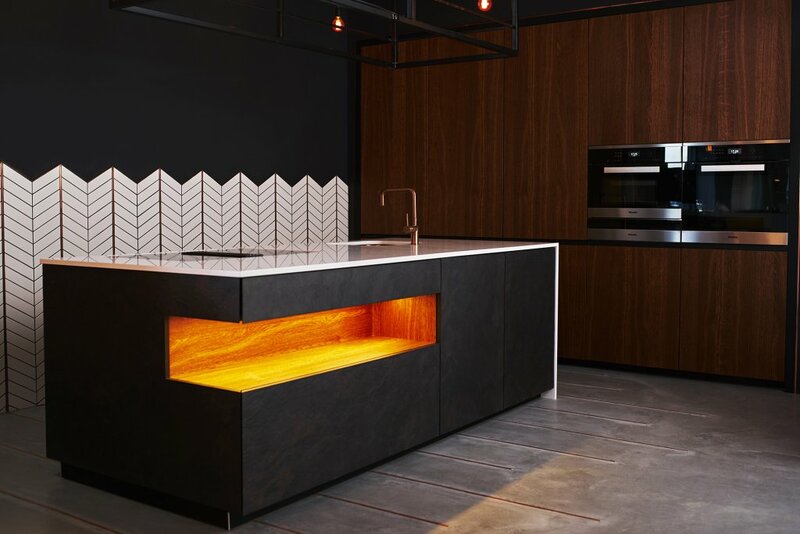 Lighting design for your kitchen shouldn’t be an afterthought. At the planning stage you need to work out what kind of lighting would work best and where it should be placed. 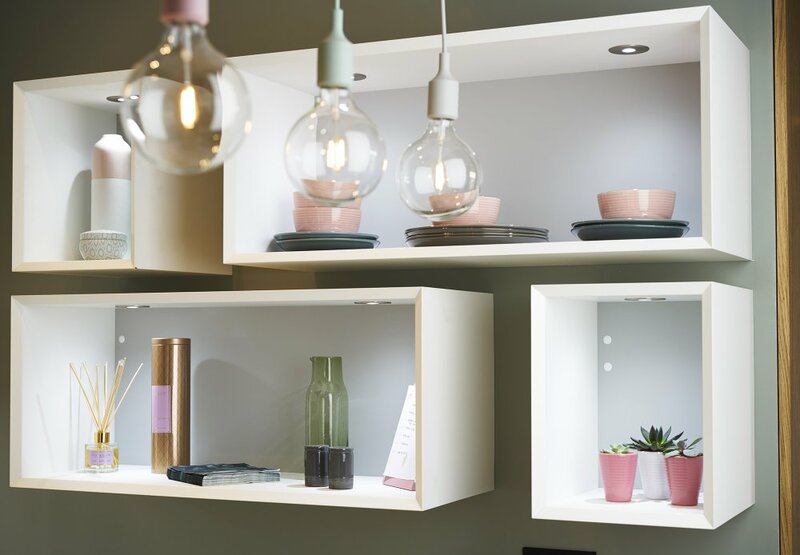 Your cabinet finishes, wall colour and work surfaces will affect your lighting choice so make sure you consider all this as one whole, at the start of the design process. Think also about where you’d like your light switches to be placed. You want to create a warm, inviting feel so go for warm lightbulbs rather than stark, bright ones. Think about natural light, too. Which direction does your kitchen face? This will impact how much sunlight it gets, and at what time of day. If you realise that there isn’t much natural light at the times you’ll mostly be using the kitchen you can plan for this in your lighting design. So, here’s what you need to know to create an optimum kitchen lighting design. 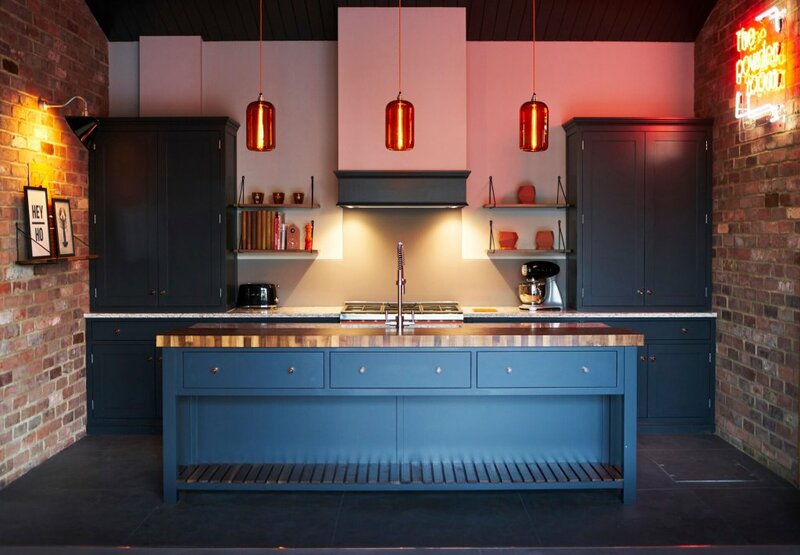 The basic principle is to use lighting to create distinct areas within the kitchen. If these are run on separate circuits you’ll have maximum flexibility, for example: turning off worktop lights and dimming over-the-table pendant lights when you’re serving food. This is especially important in open plan spaces where you want to clearly define the function of each zone. For the areas where you’ll be preparing and cooking food you need task lighting. This targeted lighting will ensure you can see what you’re doing and won’t cast shadows while you work. Placing LED downlights above worktop surfaces and under cupboards gives unobtrusive light that also doesn’t emit too much heat. These should be positioned towards the front edge of the cabinet to throw light right across the work surface, rather than just at the back. You can angle spotlights to bounce light back into the room if your space is small. In this galley kitchen we designed the open shelving to double as a lighting unit, giving a unique look to a previously quiet corner of the kitchen. 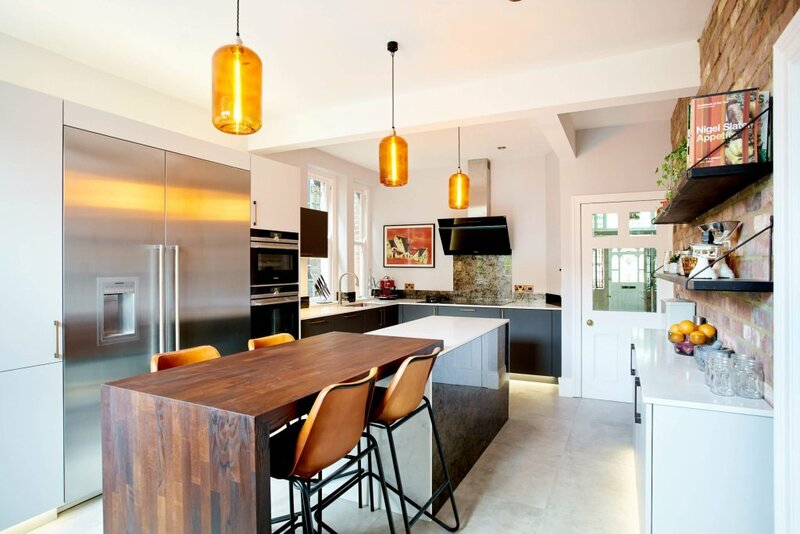 Use feature lighting like pendants (in odd numbers for the best effect) above island units or kitchen tables. These create an interesting focal point and can add a distinctive character to a kitchen. Get creative and explore the huge range of beautiful pendant lights available. Other effective ways to use accent lighting are lighting glass cabinets from within, or lighting an island from underneath to give the impression that it’s floating. You can also set flush-mounted lights into the ceiling above an island to create a skylight effect. In the evening and when you’re sitting down to a meal you want low, comfortable lighting. Whilst candlelight might cast a romantic soft glow, you also want people to be able to see what they’re eating, so install dimming lights that allow you to set the mood. If your kids are doing their homework or you’re doing your accounts at the table you can up the lighting as needed. The most stunning, effective and functional kitchen lighting designs layer all these three types of lighting. 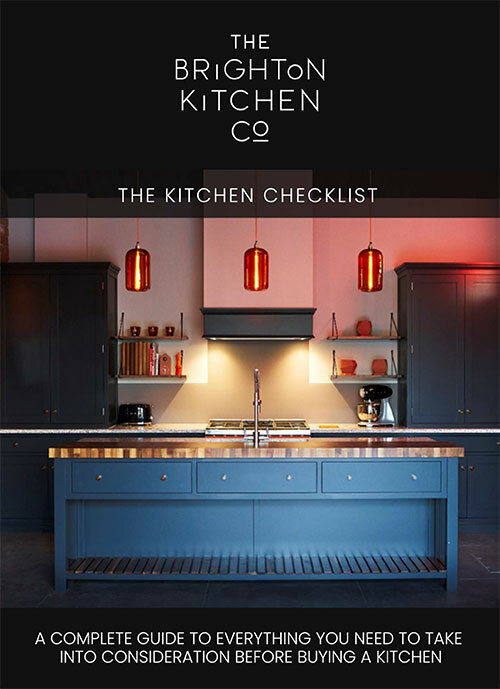 We can guide and help you choose how to make sure your new kitchen can be seen in all its glory, and that it makes a design statement as well as being a hard-working, essential space. Come and see the lighting we’ve got on display in our showroom so you can picture what will look best in your home. Turn switches, move chopping boards, adjust downlights and experience expert lighting design at work. It’s the best way to get your kitchen just right.